Adding a "Book Appointment" button to your email signature is a simple measure that will give your email recipients the ability to visit your Booking Page and schedule an appointment online. We'll show you how to add the standard "Book Appointment" button (shown below) to your email signature using Gmail, but you should be able to do this with pretty much any email client. It's simply a matter of adding an image to your signature, and linking the image to your Booking Page. 1. Log into your Gmail account. Click the gear icon in the top right and select "Settings" from the dropdown menu. 2. Scroll down to the "Signature" field and click the button to add an image. ...and paste it into the "Add an Image" form field in Gmail. Click the Select button to continue. 4. Open Setmore in a new browser tab. 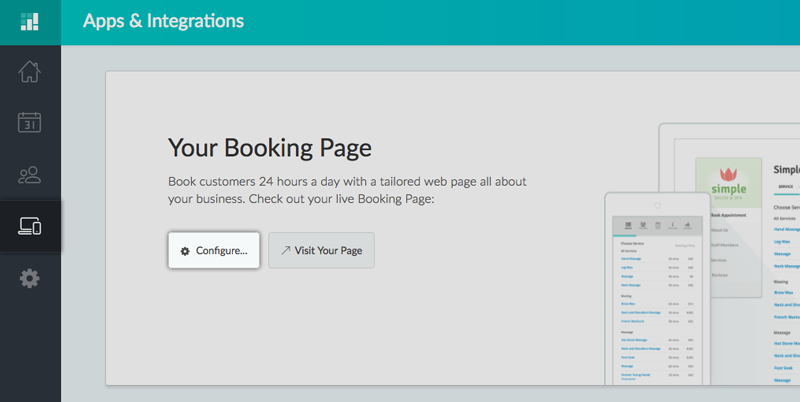 Navigate to Apps & Integrations and click the "Configure" button under "Your Booking Page." 5. Next, select and copy your Booking Page URL. 6. 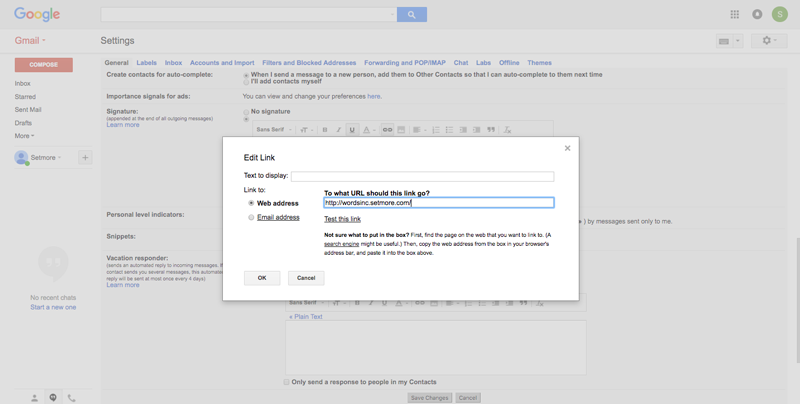 Tab back into Gmail and highlight the button image, then click the Link option from the editor. 7. Paste the URL for your Booking Page in the "Web address" form field, then click OK.
8. Save your changes! The "Book Appointment" button will now appear in your Email signature and be visible to all customers you have email correspondence with.